TCMA didn't snap today's shot on a baseball diamond, unusual for the "surprise, it's a camera" approach often taken in minor league photos. 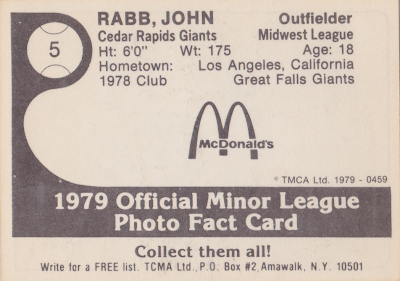 John Rabb's wearing a Cedar Rapids hat in front their Giants logo, so I'll guess it's a locker room intro, and perhaps an early-year press conference. 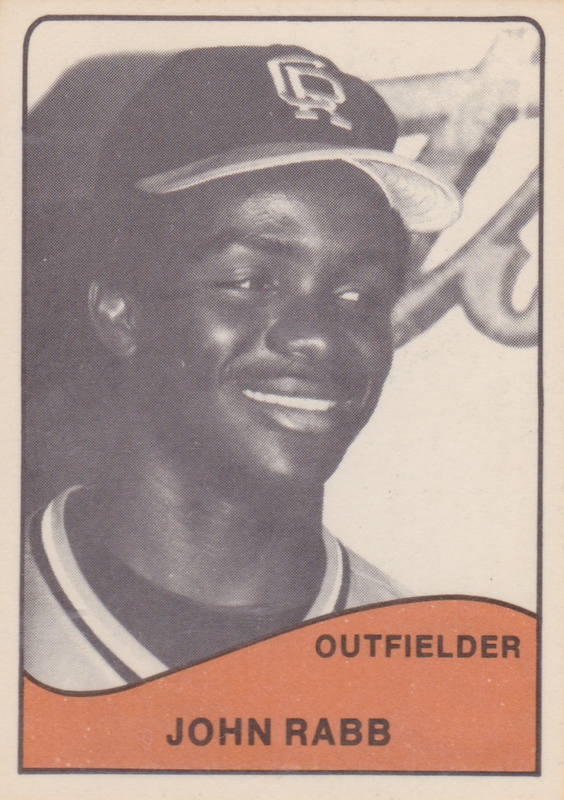 John's versatility continued in the big leagues, splitting time at C, 1B, and OF across stints with San Francisco, Atlanta, and Seattle. He might've pushed for everyday playing opportunities that didn't exist in SF, as the Giants ultimately dealt Rabb to the Braves for a veteran player with a similar skill set, Alex Trevino. 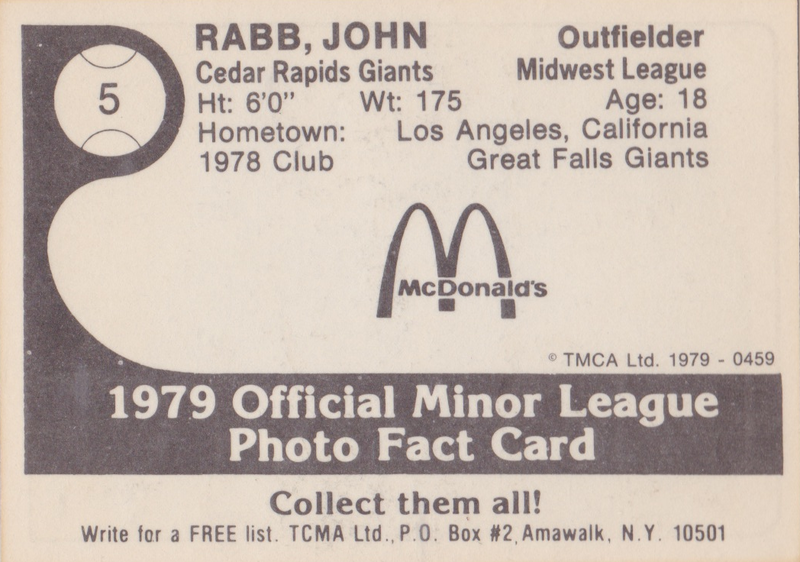 Value: John Rabb cost me $2 at MinorLeagueSingles.com. Rob Deer will run a little extra, at least in Wisconsin. Fakes / reprints: Cardboard Zoo notes that TCMA reprinted several team sets as "collector kits" in the late 1980s, but I'm not sure about this 1979 set specifically. Founder Mike Aronstein's interview about their Cal Ripken card says a little more about how young stars (and hobby demand) led to minor league fakery.